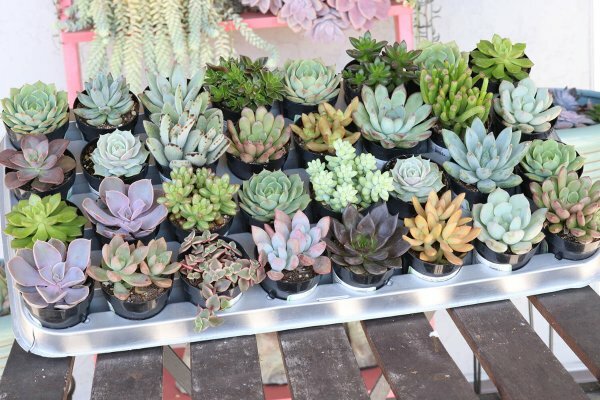 Enter your email address below to receive a notification when The Succulent Source starts accepting new sign-ups! Enter your email address below to receive a notification when The Succulent Source is accepting new sign-ups again. Succulents ship on the 1st of the month. Order by the 31st to get the current box. Cactus ship on the 15th of the month. Order by 14th to get the current box. 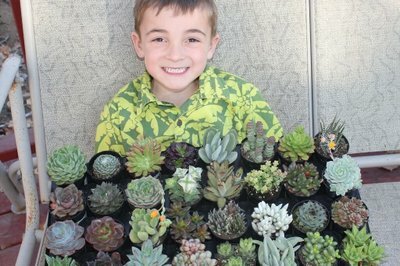 SUCCULENTS - Five (5) handpicked unique succulents delivered each month from our 2.5" mature collection. VARIETY - No repeats here! ...over 60 unique succulents available. If variety is the spice of life, then consider your space spiced. 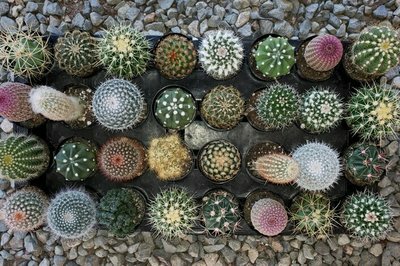 KNOWLEDGE - Each succulent arrives labeled with a plant name and care info. To gain additional instruction on each plant visit our site. MEMORIES - Living plants will be with you for years to come! 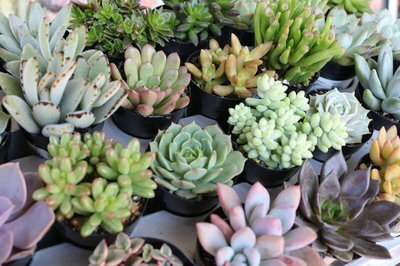 DAILY SMILES - It's a scientific fact that you smile every time you walk by a cute succulent. Half of the cactus were almost dead the others were not doing well either. Won’t make the mistake of renewing this box! This subscription was a Birthday gift for my daughter and her first box arrived today! She could not be happier! Beautiful, Healthy Plants of Good Size and great variety! I got my first box a couple days ago . The plants are beautiful! I was expecting “grocery store” cactus, but these are way better! At least 3 are variety I’ve never seen before. This was a gift from my son and his wife. <3 My plants arrived super fast and in very good shape. I am sure that this will be something I extend after my initial gift subscription runs out. The first month got here right on time, healthy as can be. Can't wait for the next batch of beauties! We were delighted with the arrival of our first installment of Succulents of the Month, five healthy little plants, kept warm in the winter by a warm pack. We replanted them right away in a nice big planter where they have room to spread out. We are looking forward to next months surprises! I could not be happier with our shipments. I ordered 3 months of succulents for a friend of mine for Christmas and got it for myself as well. It is so much fun getting a box each month. They are packed beautifully for shipment and arrive unharmed. This has changed the way I look at everything around my house now; i.e. "that's not garbage, I can plant a succulent in it!" Thank you. I ordered this as a gift for my dad to give my mom for her birthday and she loved it! 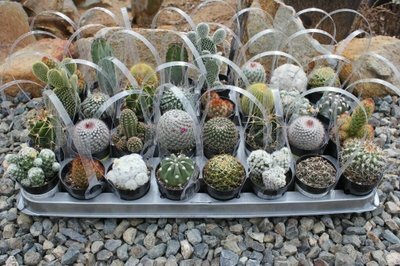 Great idea for a gift for gardening and plant lovers! Plants also shipped packaged very securely. Extremely happy with my succulents!! My order came in on time in great condition, and included a variety of succulents that I cannot find just anywhere. 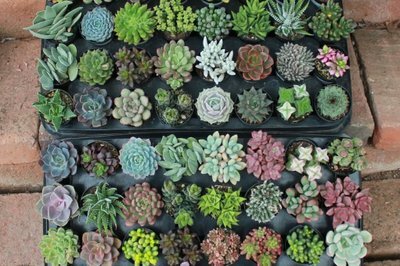 When I looked at the price per plant it was as about the same as what I would spend at the store, but there is no way I would find such a great variety around me. I haven't had much luck with succulents in the past, but the detailed directions that they sent were so helpful and I have not killed one yet!!! I would recommend succulent of the month to anyone who loves plants!